Whether you want to look like a fitness model competitor, a Victoria Secret model or you just want to ‘tone up’ a bit, it all begins with the building of your muscles. For too long, women have been afraid to work on their muscles, fearing they will become manly. In fact the process of looking like a bodybuilder takes a lot of time and effort. And even then, in some cases bodybuilders sometimes use steroids! You won’t suddenly wake up one day as a bodybuilder. So, no excuses to become more muscular! Okay, so now that we have that out of the way, let me tell you why it’s important to have muscles. First off all who doesn’t want to feel strong and fit? Also, by training your muscles your body will become slim and toned. Fat slows us down and can have major negative impact on our health. By working on muscle mass, you automatically burn fat. In layman’s terms, your muscle mass needs energy and it will more or less ‘eat’ your fat. I can narrow this down in five words, nutrition, weights, more weights, repetition and rest. In order to build muscles, it is essential you work out with weights. If you want to strength train in the gym, there are plenty of machines and dumbbells that can help you to train the major muscle groups. Try starting with 3 sets of 12 to 15 repetitions per muscle group. Perform the repetitions slowly and make sure your technique is correct. On your last repetition, focus on using all of your strength. If you are unable to do 12 reps, you can pick a lighter weight! If you are doing 15 reps without breaking a sweat and without much effort, then increase your weight the next time. As you become more advanced, increase your weights until you are doing between 6 to 8 reps.
One of the secrets of gaining muscle mass is to increase your weights over time. Before you increase the weights, make sure you are able to perform the exercise using the correct form (in order to avoid injuries) and get the best results possible. In other words, it is useless to increase the weights if they are too heavy for you to perform the exercise with the right technique. 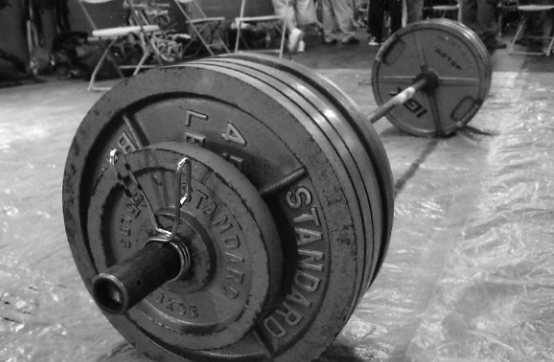 Click here to learn more about when you should increase your weights. Okay so I’ve increased my weights, now what? At some point, you would have done all the weight increasing you can possibly handle, right? You can’t expect to be able to lift a car, just saying. So what to do next and how do you keep your muscles challenged? Well, one way is to use the same amount of weights, but to increase the sets. For example, instead of 3 sets of 8 reps you could slowly increase to 4 sets of 8 reps. You can also use the same amount of weight and try to increase the reps. In this example, 3 sets of 12 reps.
Another secret to building muscle mass is to keep doing the exercise you were doing, only in less time. This way you keep the muscles challenged and improve your muscle mass. In other words. this means less rest time between your sets. The right technique can boost your results. As I mentioned above, it is extremely important to perform the exercise with the right technique. Fitness trainers often come across clients who give their all physically, but do not have the right technique. Even the slightest improvement in your technique can maximize the results of your effort. Not only does this prevent injuries, it also makes the most out of the exercise. Think about it this way; you’re investing the time to train, why not do it impeccably and get the best results? Okay, so we’ve discussed the workouts that improve muscle building. What is even more important is your food intake and specifically your protein intake. After every workout, your muscles are damaged. It’s best to describe it as they get little cracks in them. What fills up these cracks and makes the muscles grow is protein. Click here to read more about the importance of protein for muscle gain. Whereas it can be extremely difficult to build muscle, incorporating the workout techniques described above along with a proper diet (with protein) will help you see noticeable results much quicker.